Happy Friday! 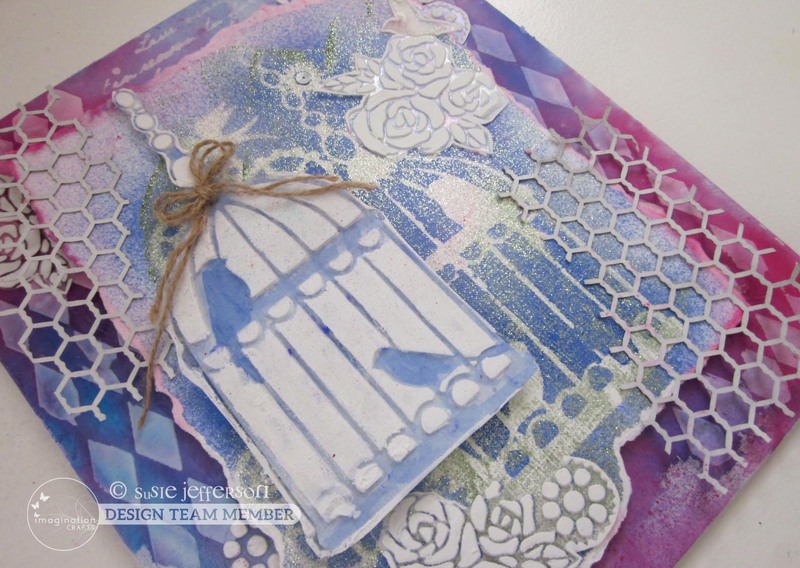 This is a lovely way to start the day - another DT project for Imagination Crafts! 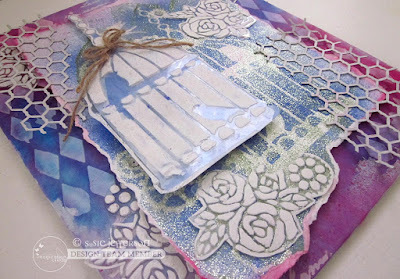 This A4 canvases uses the gorgeous Birdcage and Gears stencil by Imagination Crafts. 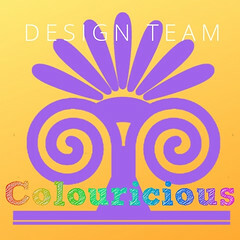 I've used this one for several projects, I just love it! 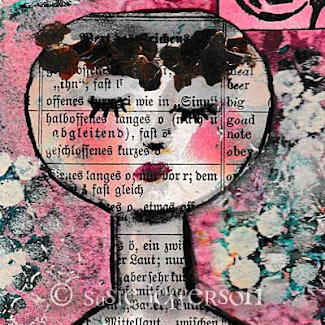 As you can see, this canvas is really dimensional - the secret is a heavyweight acetate (recycled packaging) and Imagination Craft Structure Paste! The main image is stencilled onto acetate using Structure Paste just on the cage and the chain. Once dry, I cut this out and set aside. 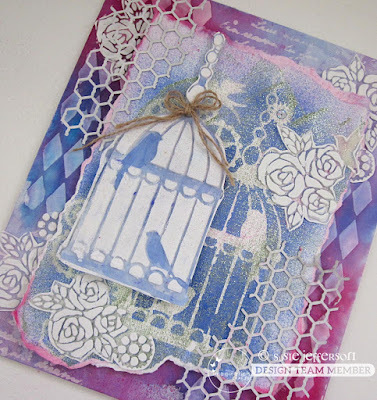 Next, I used the whole stencil: blue Fashion Spray on the back of the stencil, which I pressed down onto white card, using it like a stamp (you'll notice this gives a reverse image). 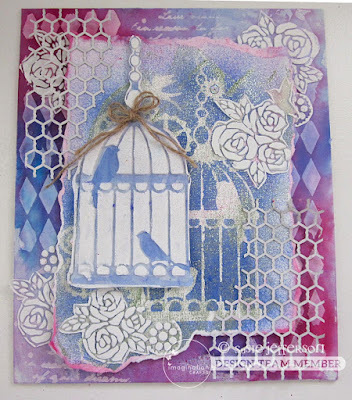 I tore round the card as roughly as possible to leave a nice grunge-y edge, then tinted this with a little bit of pink Fashion Spray diluted with water. 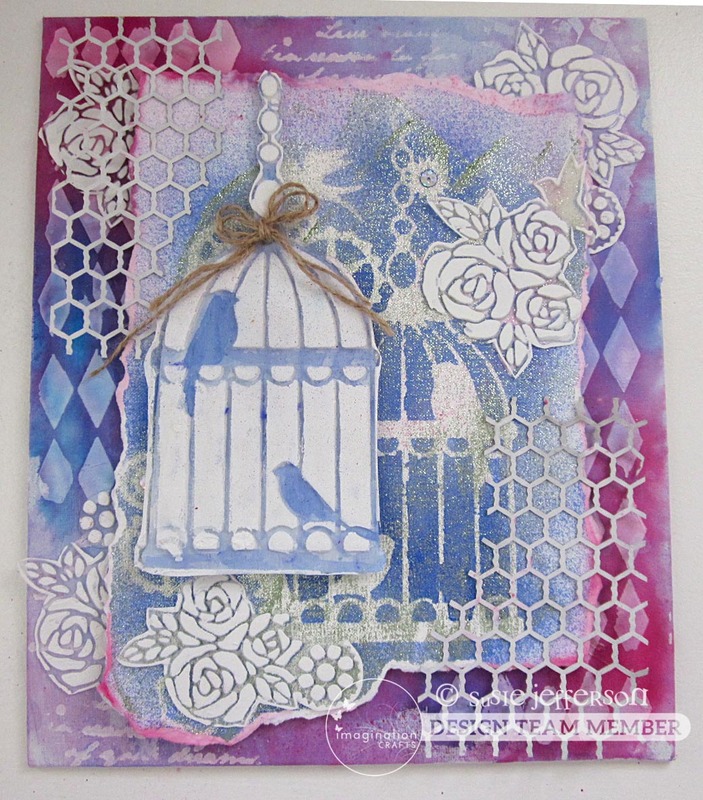 I flipped the stencil back over so it faced the right way, then sprayed through with the Fashion Spray onto white card, to give me a cage with blue birds - then cut this out and mounted it behind the acetate piece. The birdies show through as almost a shadow image! 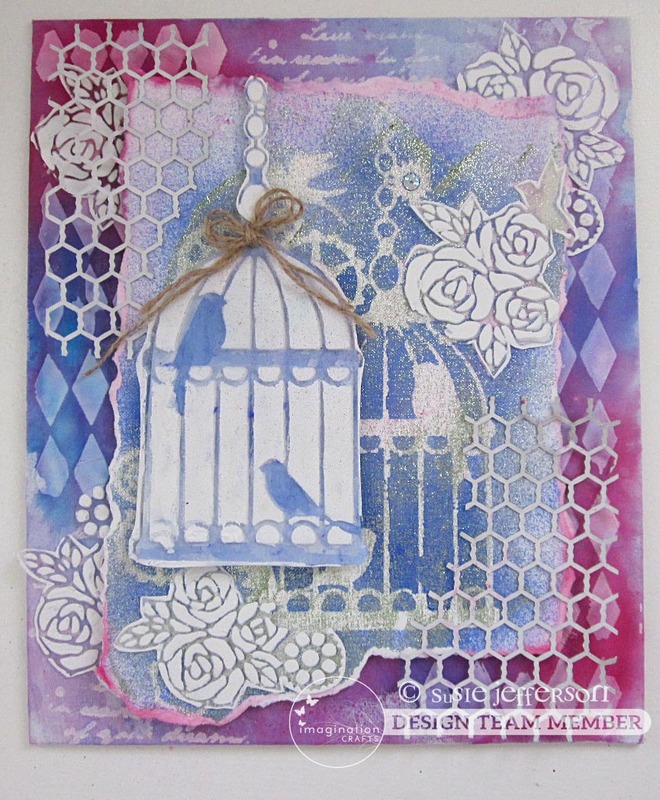 I also used the Chickenwire Magicutz, which is a chipboard with a really strokeable velvety texture. I gessoed with white to make it stand out just that little bit more, cut it into sections and mounted on the corners of the canvas with a little glue gel. 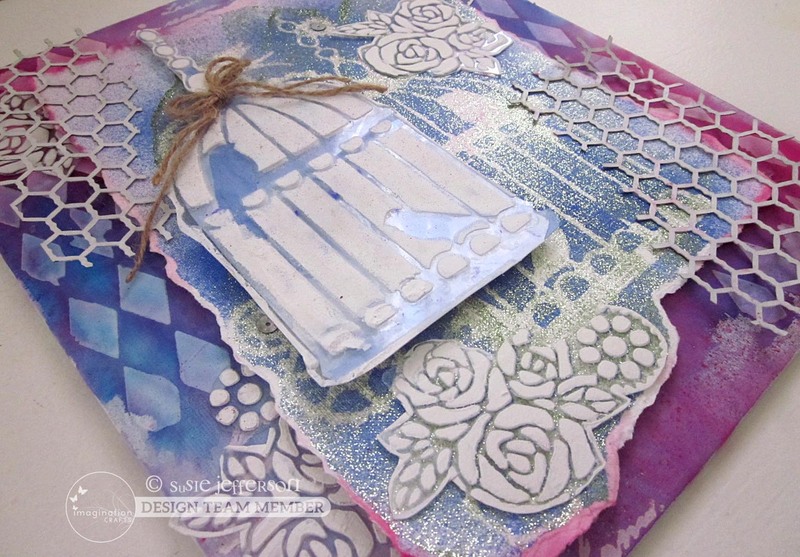 All the extra flowers are partial images from the same Birdcage & Gears stencil, again stencilled onto acetate using Structure Paste and then cut out. (Glue gel is the best to fix acetate, especially if you want as much dimension as possible.) This made it really easy to place sections wherever I thought the piece needed it. 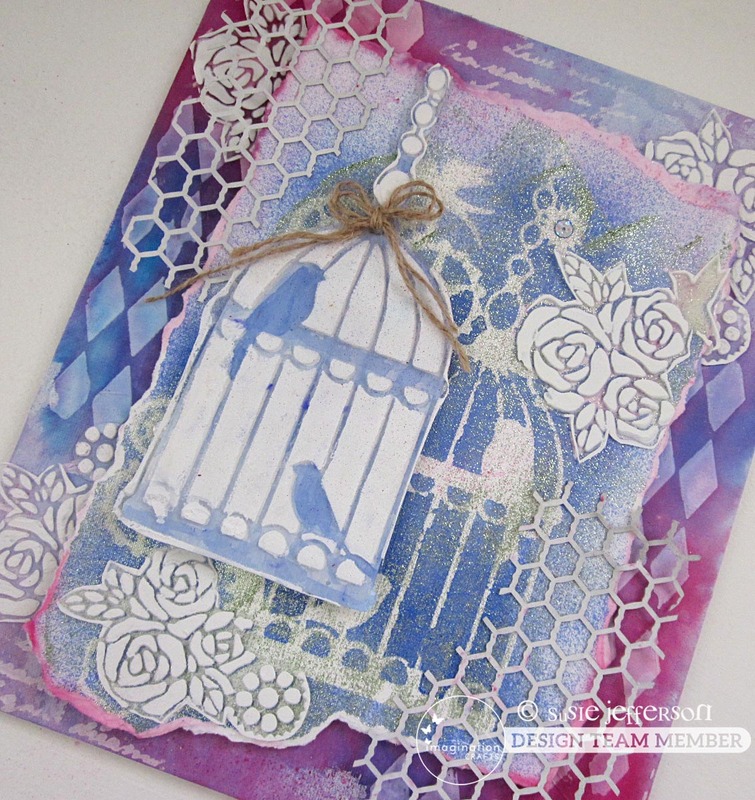 The background used the Harlequin stencil, which is lovely and irregular, broken diamonds (again sprayed through with blue and pink Fashion Sprays) and the script is from the Dragonfly Textures stencil (with yet more of Structure Paste). Again, all products from Imagination Crafts!